Basically optical fibers can be classified according to the number of modes they can propagate. Single mode fibers will propagate only the fundamental mode. Multimode fibers will propagate many number of modes say hundreds of modes. Though this is the case, classification of optical fibers depends on more than the number of modes that a fiber can propagate. Both Single mode and multimode optical fibers can have a step-index or graded-index refractive index profile. For a multimode fiber, the performance of graded-index fibers is superior compared to the step index multimode fibers. Anyway, depending on the intended application, both type of multimode fibers improve system design and operation Performance. 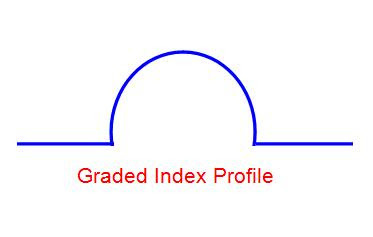 As far as single mode fibers are concerned, advantages for single mode graded-index fibers compared to single mode step-index fibers are relatively small. 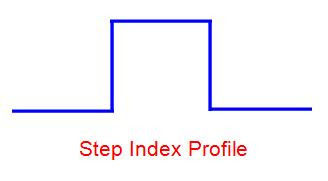 Almost all Single mode fibers have step index profile. Step index single mode fibers are denoted by SM MC or Single mode matched clad optical fiber.